While stopping The Fashionistas in their latest attempt to steal the coveted Diamond Pumps, The Powerpuff Girls get blasted by an experimental SASSY RAY! Have they gone from 'sugar, spice and everything nice' to 'sass, frass and zero class'? forever?! Comic series written by show writers Jake Goldman and Haley Mancini-Haley is also the voice of arch-villainess PRINCESS MOREBUCKS! Each issue ripped directly from the NEW world of The Powerpuff Girls. 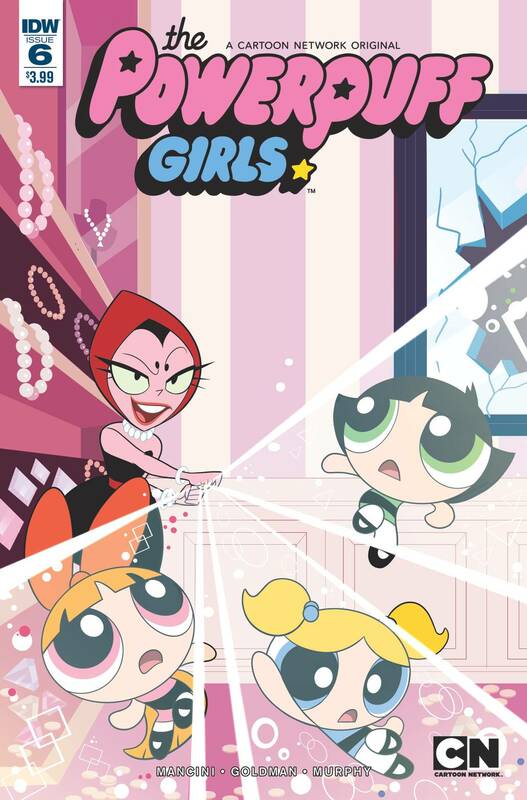 Each retailer incentive cover will be by a Powerpuff Girls animator!